Life Cycle Costing (LCC) or Whole Life Costing (WLC) is a discipline that aims to identify and manage the costs of a product or service by taking into account all cashflows throughout its life. Costs are typically grouped into capital and operational costs, meaning those that are incurred before an asset is operational (typically design and construction costs) and those that are incurred during its operating life (typically in use, maintenance and repair). In reality, there are a wide spectrum of costs of differing magnitudes, timings, recurrence and uncertainty, and investment and management decisions can be taken that affect all these variables. The diagram below in Fig.1 visualises how costs can vary throughout an asset’s life. However, all assets will have different life cycle cost profiles, depending on how use and maintenance is planned and managed. Sustainable Drainage Systems (SuDS) are features constructed in the landscape, designed to attenuate or store water, as well as controlling water quality and providing amenity and biodiversity benefits. They are believed to have comparable or lower capital costs than traditional drainage and flood management structures (see Susdrain website), particularly if the cost of land-take is low. However, there is significant uncertainty around the ongoing operational costs necessary to ensure a continued high level of performance. 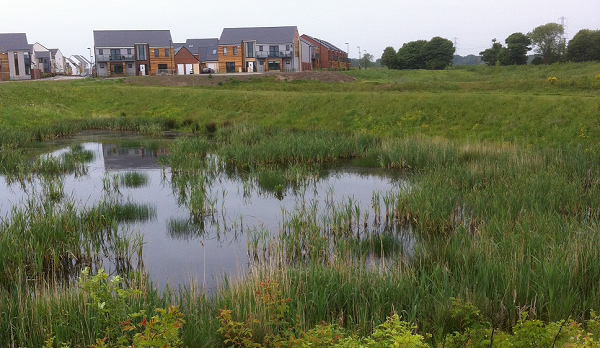 For example, the costs of remedying siltation can be high, and some commentators have identified uncertainty about the recurrence and magnitude of maintenance costs as being an impediment to SuDS uptake and adoption. A SuDS Cost Calculator has also been produced by HR Wallingford. Tools tend to be based on a well-understood set of management activities, which include maintenance of planting schemes (pruning, grass cutting etc) and sediment control (removing silt build-up, scrubbing permeable paving etc). Standard costs for each activity can be obtained from an industry-recognised estimating guide for landscaping and groundworks costs, such as Spon’s. When tools have been developed for assessing the Life Cycle Cost of an asset, an important next step is to assess the actual performance and maintenance costs in the field, and then calibrate the LCC models against this empirical evidence. In the case of SuDS, this will provide confidence that they perform as they were designed to and that their maintenance costs are similar to estimates made by the LCC tools. Confidence that forecasts are accurate is key to adoption, and might also enable the involvement of private sector finance. 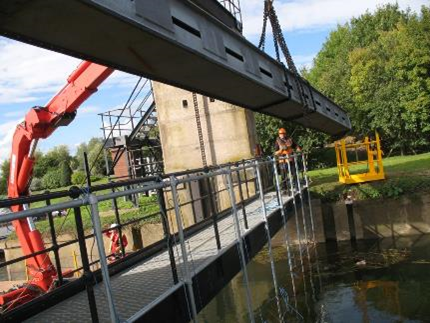 Flood risk projects like the Broadland Flood Alleviation Project, which involved a Public-Private Partnership (PPP) between C2HM Hill, BAM Nuttall and the Environment Agency, have benefitted from risk transfer to the private sector. Another important area is to extend our understanding beyond individual SuDS and other ‘installed’ features, to the characteristics of Blue-Green Infrastructure applied more widely; perhaps to the catchment level. As part of its research the Environment Agency’s Working with Natural Processes (WwNP) Research Programme aims to investigate some of these effects, such as the effect of relatively small areas of woodland on peak flows (as reported by Thomas and Nisbet, 2007). Finally, linking the costs of SuDS maintenance directly to the operational performance achieved (in terms of flood risk reduction, biodiversity enhancements and other outputs), would enable decision-makers to reach more nuanced decisions based on cost/benefit trade-offs. 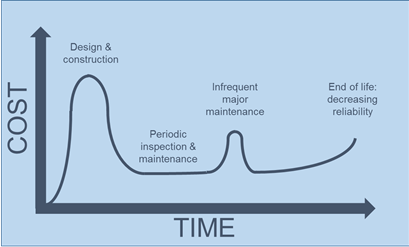 For example, it may be that a small increase in maintenance frequency yields a significant reduction in flood risk. Fig 2. Maintenance costs of traditional flood defence assets can be significant throughout their life. Here, a sluice gate undergoes a major inspection and overhaul. Blog post by Ian Corder, University of Nottingham.